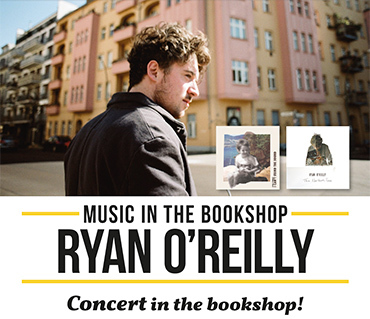 Concert in the bookshop – RYAN O’REILLY is back! Ryan returns to perform songs from his new albums released since his last visit to the bookshop. Great songs from a passionate musical storyteller – don’t miss! STOCKHOLM | Thursday 21st Feb at 18.30. Free! 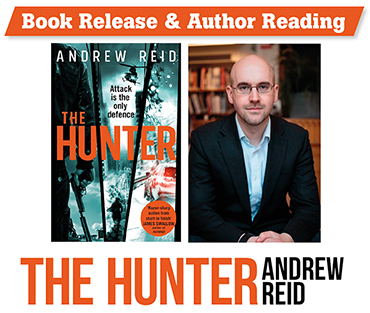 Join us in the Stockholm bookshop as Andrew Reid presents his explosive debut thriller – The Hunter. An action-packed thriller with the gripping, pulse-racing twists of Terry Hayes’ I AM PILGRIM and Gregg Hurwitz’s ORPHAN X – and a hero as deadly as JACK REACHER. 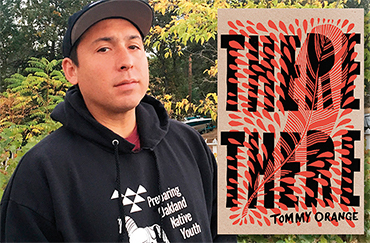 His debut novel There, There has met with great reviews and is a sorrowful, beautiful debut novel follows a group of young “Urban Indians” struggling to make sense of their identity. Orange is himself an enrolled member of the Cheyenne and Arapaho tribes of Oklahoma. The novel has just been translated into Swedish (Pow Wow, also available at the event). In conversation with journalist Leonidas Aretakis. Tickets 70:-. Get your ticket at the bookshop today – limited seating. In co-operation with Bibliotek Uppsala / Stadsbiblioteket i Uppsala and Bokförlaget Polaris. Join the special reading group to discuss the book on Monday 25th February at 19.00. Reading group fee 60:- + book. Sign up at the bookshop. 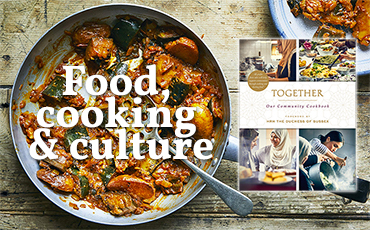 Ever thought about how important food is as part of a culture? We gather our family and friends around dinner tables, love watching cooking shows, and proclaim that things are ”as American as apple pie”. And wherever cultures meet, new types of cuisine are born. 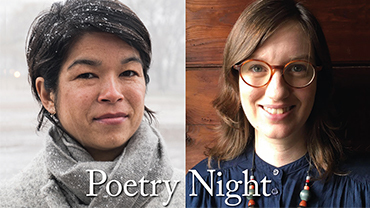 Come celebrate the release of A Machine Wrote This Song by Jennifer Hayashida & first one thing, then the other by Elizabeth Clark Wessel. 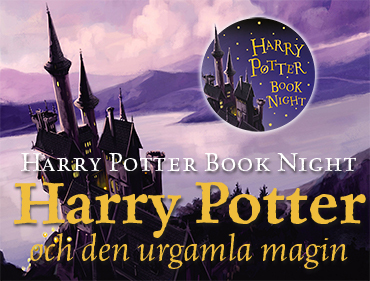 It’s time for our fifth annual Harry Potter Book Night! This time the talk will be in Swedish, and together with themed baking and a quiz I'm sure we will have a magical night. Get your ticket today! Click ”Read more” for more info. 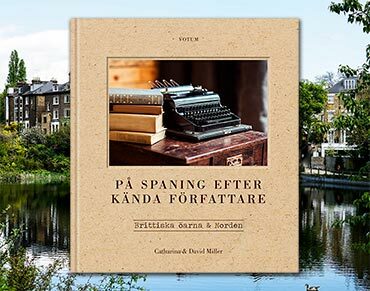 Catharina & David Miller kommer och berättar om sin bok ”På spaning efter kända författare”, där de gör nedslag bland de brittiska klassikerna och besöker de platser där författarna bott, verkat och skriver om. 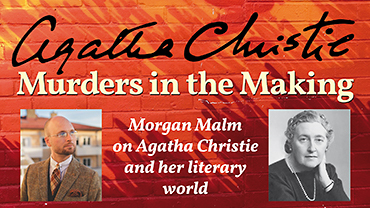 Agatha Christie is a master of plotmaking and her characters are among the best known in detective fiction. London. 1599. Hamlet premiers at the Globe. 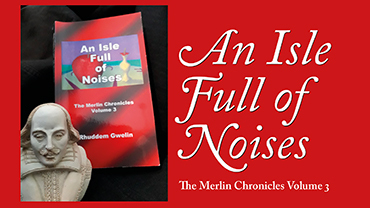 Merlin is there. 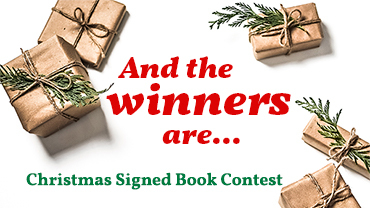 Thanks to everyone taking part in our Christmas Signed Book Contest. This has been our biggest competition ever, with participants in the hundreds (! ), so it took us a while to figure it all out, but we finally have a list of lucky winners – are you one of them…? Click ’Read more’ to reveal the winners list.